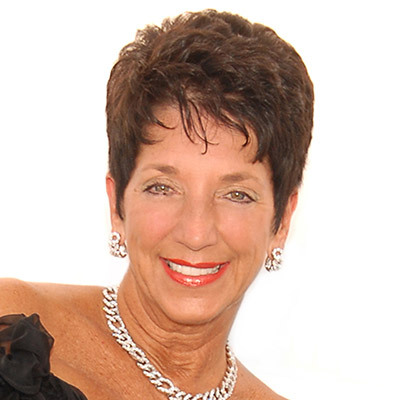 Bobbi has over 40 years of experience in the fields of Event Planning in the Travel Industry, Customer Service, Public Relations, Sales and Marketing. Over 15 of those years as a Event Planner for Fortune 500 companies with clients such as Time Warner, American Express Publishing, Fortune Magazine, Amgen, Universal Studios, Jeopardy/Wheel of Fortune, Motorola and Dell. Since arriving in Austin 6 years ago, Bobbi has become a fundraising expert, generating over $7 million so far. Bobbi served as chair for the March of Dimes Signature Chef’s annual event for 5 years and as Honorary Chair for 1 year, raising $3.6 million towards reducing infant mortality and premature births. Her efforts led to Austin’s Signature Chefs event achieving the number one position in the nation for those five years. The 2008 March of Dimes Texas Chapter designated the 2008 Fund The Mission contributions from the Austin Signature Chef’s Event to fund Austin NICU Family Support Programs, including launching a new project at Dell Children’s Medical Center of Central Texas, in honor of Bobbi Topfer. Bobbi co-chaired the Texas Film Society fund raising event in 2009 and recently became a member of the Dell Children’s Women’s Trust. After chairing the Performing Arts Center 25th Year Anniversary Gala at the University of Texas, Bobbi was persuaded to take on chairing the Grand Opening of The Long Center for the Performing Arts in 2008, raising $2 million. Bobbi recently agreed to co-chair The Long Center for the Performing Arts annual anniversary events until its 5th year in 2013. Bobbi has a special passion and expertise for fund raising, and she likes using her skills to help other organizations. She has lectured at Development meetings for both the March of Dimes and the University of Texas. Bobbi is also involved in the Topfer Family Foundation as an adjunct board member. One of her proudest accomplishments was establishing a high school scholarship fund in her hometown of Lumberport, WV and giving continuing support to the Lumberport United Methodist Church she attended as a child. She also likes volunteering in organizations and working directly with the people non-profits benefit. She volunteers for HospiceCare of Southeast Florida during the winter months in Fort Lauderdale, FL and funds the Hospice Camp Coral Bereavement weekend for children. In addition to fundraising, Bobbi enjoys spending her free time with family and friends and relaxing with her husband, Mort and beloved dogs in Texas.